Except Invicta 8926 that had similar design as Rolex Submariner 16610, good quality and affordable price, Sandoz Diver also has these features. 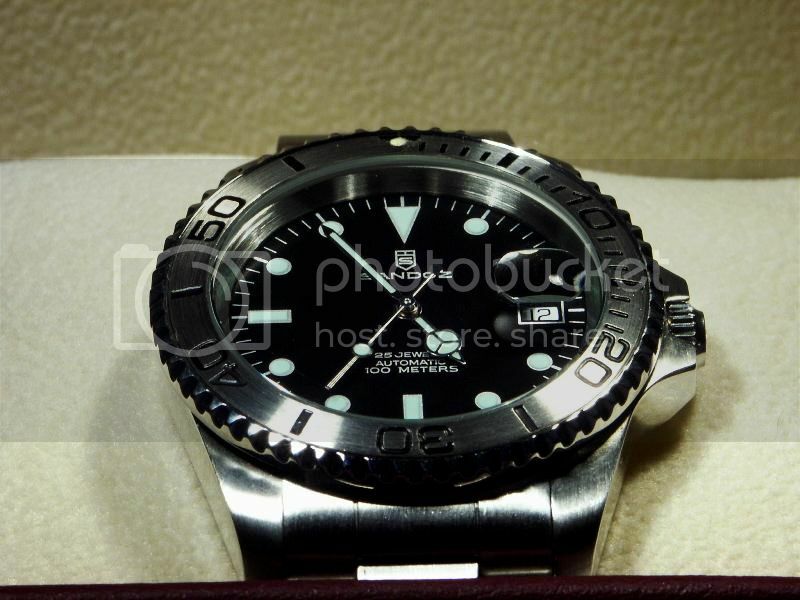 Basically, Sandoz Diver has similar quality as Invicta 8926. Furthermore, just like Invicta, the production company of Sandoz Diver is also a Swiss watch company that has a history of more than 100 years, but its company marketing and advertising strategies are understated, thus Sandoz Diver is not well-known as Invicta 8926 by watch fans. The history of Sandoz of Switzerland can be traced back to 1530, the year when Johannus Sandoz was born in an aristocratic family in Le Locle, Switzerland. In 1870, Henry Sandoz and Jules E. Sandoz who are descendants of Sandoz family founded ODIN company together and started watch career of Sandoz family. ODIN specializes in the production of complicated timepieces such as repeater and chronograph, and it also is the pioneer of watch manufacturing industrialization. In 1920, Henry Sandoz's company was took over by his son Hermann Sandoz, and it was renamed Henry Sandoz & Fils. In 1926, Henry Sandoz & Fils moved its factory to La Chaux-de-Fonds. In the late of 1920, Sandoz had already developed its market in India and Pakistan, and its annual output reached one million. In following decades, with the enlargement of its operational scale, the name of Sandoz was renamed for several times. In 1938, it was renamed Henry Sandoz & Co. and the subsequent Bezzola & Kocher, and eventually it was renamed Campagnie de Montres Sandoz SA(it means Company of Watches Sandoz Co. in English), which has lasted to today. The only thing remains unchanged is the consistent Swiss watchmaking technological tradition, which has been passed down from one generation to another. 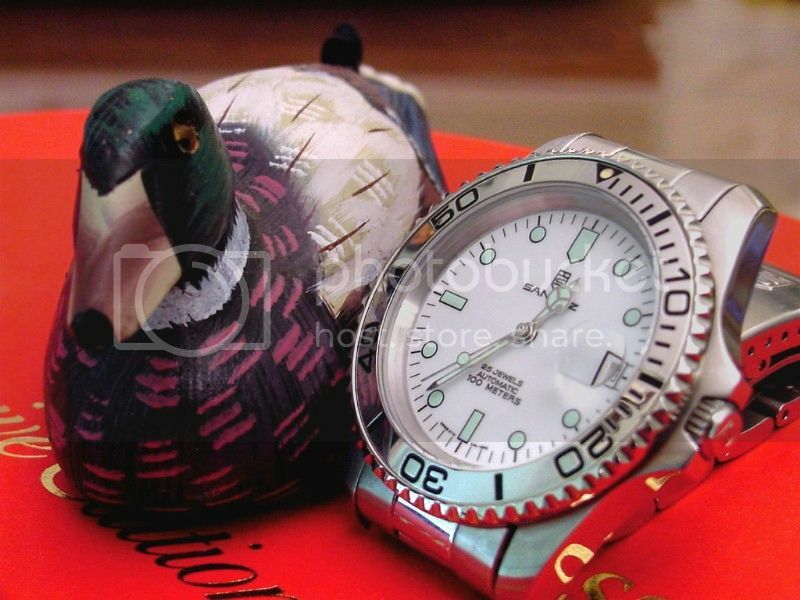 Both appearance and quality of Sandoz Diver are similar to Invicta 8926 Professional Diver 200M, and both of these two watches have the same style as Submariner. 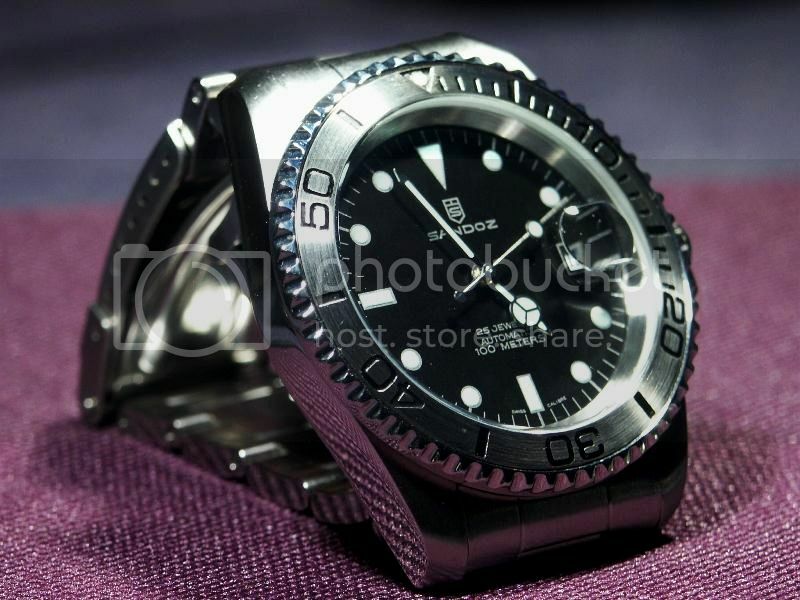 It is unbelievable that the price of Sandoz Diver is about $100. It is hard to make a comparison between Sandoz Diver (Sub) and Invicta 8926, because the cases of these two watches are quite thick, both of them have been polished precisely, and their hands, hour markers and dials are completed with high standard. 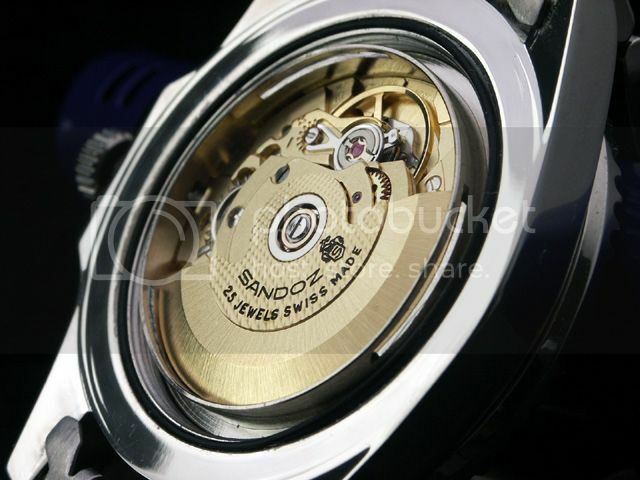 (1)Sandoz Diver (Sub) adopted Gold-Plated ETA2836-2 movement, and Invicta 8926 adopted Japanese Miyota movement. 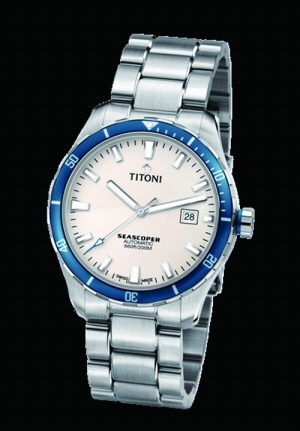 (2)The crystal of Sandoz Diver (Sub) is sapphire, while crystal of Invicta 8926 is mineral glass. (3)Sandoz Diver is equipped with metal solid case back, and Invicta 8926 is equipped with transparent mineral glass.  (4)Cyclops effect of Sandoz Diver is better than Invicta 8926's. (5)Sandoz Diver (Sub) uses brushed bracelet that is similar to Submariner 16610's, while the middle links of Invicta 8926 are polished, which would be easily scratched. (6)The luminous coating is painted on hour markers of Sandoz Diver, which is not as good as Invicta 8926 (and Rolex Submariner), because luminous coating is applied on hour markers of Invicta 8926 (and Rolex Submariner). 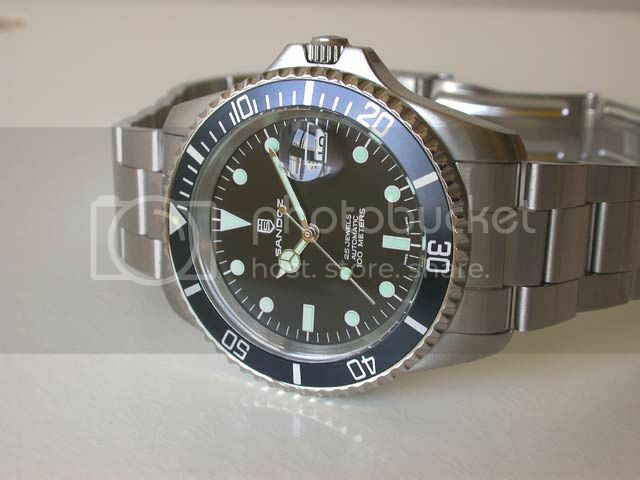 (7)Rotating bezel of Sandoz Diver is quite smooth when it rotates, but Invicta 8926's bezel is inflexible. (8)Sandoz Diver has waterproof only to 100 meters, and Invicta 8926 had waterproof to 200meters (waterproof of Submariner 16610 is 300 meters). Invicta and Sandoz produce a variety of legal watches that are similar to Rolex wathes and could not be compared with shoddy replicas at all. Invicta 9210 is produced to pay homage to Rolex Yachtmaster, and Sandoz Explorer is the best replacement of Rolex Explorer I. "I rank it as one of the best watch purchases that I've ever made simply because you get so much for so little. I wouldn't hesitate for a moment to recommend it to anyone who is looking for an attractive and reliable timepiece." I think that the history of Sandoz is finished. 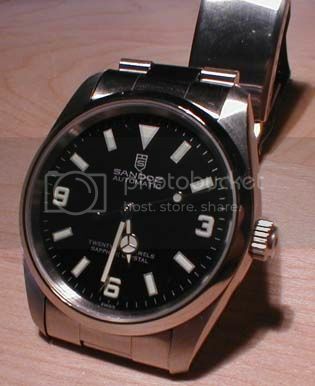 The name is used by more company for various types of watches swiss made and not. This is not attractive for passionate . 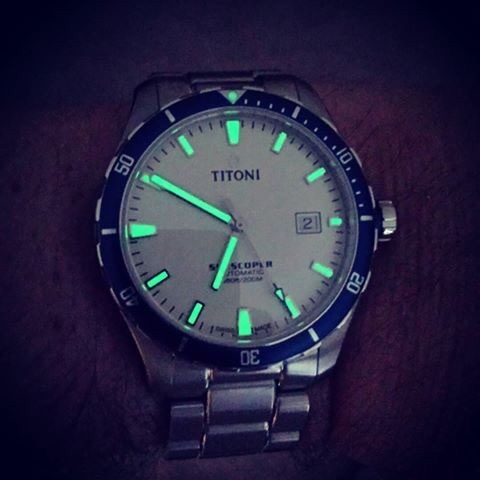 I prefer others brand as Titoni with the Seascoper. Affordable , beautiful and of good quality. It's also historic brand. What else?